With big names absent, world champions West Indies all set to test their young talents against India in the first T20I at Eden Gardens. On the face of it, this three-match T20 international series, starting in Kolkata on Sunday, provides little context. From Indian cricket’s point of view, focus is firmly set on the upcoming tour of Australia, and the likes of Rohit Sharma, KL Rahul and Rishabh Pant might have been better off playing the Ranji Trophy and accumulating some first-class game time ahead of a testing Test series. 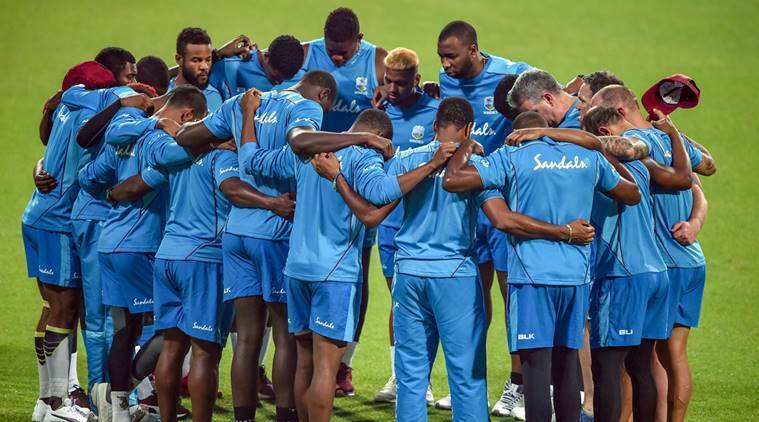 From West Indies’ perspective too, the next World T20 is two years away, so it’s debatable how much they will gain from this series apart from the fact that their young players will have some valuable international experience. Especially with an eye on their preparations for next year’s 50-over World Cup, if some of their youngsters like Oshane Thomas and Obed McCoy carry forward the promise they showed during the recently concluded ODI series, there could be a positive trickle-down effect. West Indies are a different beast in the shortest format. They are the defending world champions and this is their natural habitat. In fact, a good number of West Indies cricketers revel in their T20 freelance lives. They arguably understand this format better than the rest. This makes West Indies the favourites, going into the T20 series, notwithstanding the fact that Chris Gayle, Dwayne Bravo and Sunil Narine don’t feature in the touring party. Andre Russell, too, didn’t turn up in Kolkata despite being in the squad. A knee injury is said to have ruled the allrounder – a Kolkata Knight Riders galactico – out of the series. Opener Evin Lewis has opted out as well due to personal reasons. Still, West Indies boast of a 5-2 head-to-head record against India in eight T20 internationals so far. Over the last two years, the two teams played against each other four times, and the Caribbeans won thrice, with the other match being abandoned. They clinically polished off India in the 2016 World T20 semifinal at Wankhede, going on to annex the title. Last year in Jamaica, they chased down a victory target of 191 losing just one wicket. Lewis made short work of the Indian bowling in that game, scoring a 62-ball 125 not out, hitting 12 sixes. The tourists will miss the left-hander. But Carlos Brathwaite has returned as the team’s captain at the venue where he had announced his presence on the world stage. Two years ago at Eden, he turned out to be the showstopper, clobbering four sixes in the final over in the World T20 final. The 30-year-old, however, preferred to move over the past. “I guess it was a personal milestone. It was a good night for myself and the West Indies cricket. But that’s history.” Brathwaite, in fact, refused to consider his team as favourites in this series. “India still start as favourites in my opinion. India at home in any format (are) very formidable. But that being said, we now have a very exciting squad and it’s for us to find a best way to get the best from each and every player,” the skipper said, adding tongue-in-cheek that he won’t mind to have an 8-2 head-to-head record at the end of the series. The West Indies World T20 squad sparkled stardust. This side doesn’t have a truckload of experience save a few players like Kieron Pollard, Denesh Ramdin and Brathwaite. Watch out for Sherfane Rutherford though — a serial six-hitters for Guyana Amazon Warriors in the Caribbean Premier League. As for India, Krunal Pandya looks set for his international debut. The team management announced the 12 on the match eve and Pandya being the only allrounder in the pack, appears a shoo-in. Pant will keep and it’s likely to be between Manish Pandey and Dinesh Karthik for the No. 4 slot. In Virat Kohli’s absence, Rohit Sharma has returned to his stand-in captaincy role, aiming to make it three in three. He led in India to title triumphs in the Nidahas Trophy and the Asia Cup. Rohit spoke about how this series gives the team management an opportunity to look at the bench strength, which could be important in the lead-up to the World Cup next year. Rohit earned plaudits for his impressive captaincy in the Asia Cup. According to him, it has also helped his overall cricket. “It has helped me overall, when it comes to captaincy. I have enjoyed captaincy whenever I have got an opportunity and it does bring a sense of responsibility. When you lead the side you always want to lead from the front. The MSK Prasad-led selection committee dropped MS Dhoni from the T20 squad and more than anything else, India would be bereft of his experience. Rohit agreed. “His experience will obviously be missed. (But) it gives an opportunity to other guys to express themselves. All these guys have done well for their respective teams. We cannot go to the World Cup with limited resources. We need to have options. “This gives you a great platform to try and test all these guys. Dhoni has been such a massive player for us over the years. His experience in the middle will be missed but again Rishabh and Dinesh have a great opportunity to come and perform and show what they are capable of,” the stand-in captain said.